Cleantech Invest Plc has signed a share swap agreement with Mikko Maja, the founder of Nuuka, as well as with three additional Nuuka co-founders. After the share swap, the holding of Cleantech Invest in Nuuka will increase to approx. 48,1%. The closing of the deal is expected to be on 29.11.2017 and may be adjusted somewhat depending on potential participation from other shareholders. Payment of the shares will be done through issuing a total of 143,100 new class A shares, offered to Mikko Maja and other co-founders for subscription. The subscription price will be paid by giving a total of 477 series A shares of Nuuka to Cleantech Invest Plc as contribution in kind. These shares represent approx. 11,1% of all shares in Nuuka Oy and 0,7% of all shares in Cleantech Invest. 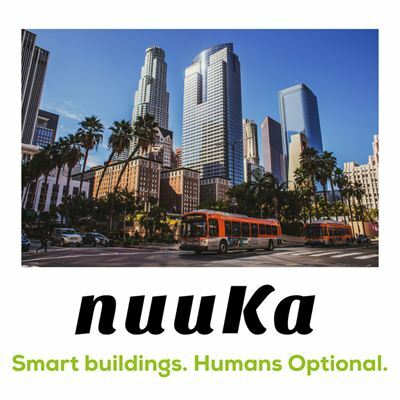 “Nuuka’s software is increasing the value for tenants as well as real estate owners and that is a very attractive proposition. In the energy space, we see that owning industrial and real-estate data is becoming as valuable as conventional energy producing assets. We think that they have the potential to become the worlds first “Virtual Energy Company” in the real estate space and have a pivotal role in providing demand response related services for the global grid. The company is experiencing very rapid growth and we simply believe it is on its way to becoming an international star” says Alexander Lidgren, CEO of Cleantech Invest and continues "One motive behind the listing of Cleantech Invest was the intention to use the shares of Cleantech Invest as payment in M&As, and the share swap with Nuuka is another value adding deal for our shareholders in that sense." The total number of Cleantech Invest Plc's shares after the registration of the new shares is 22,094,090, out of which 4,569,031 shares in class K and 17,525,059 shares in class A. The new class A shares of Cleantech Invest Plc will be subject to trading on the multilateral trading facility First North Finland maintained by NASDAQ OMX Helsinki Ltd.